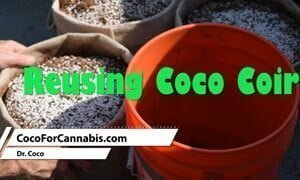 What do you do with coco and perlite after a grow? The best option is to refresh it and use it again! 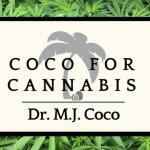 If you follow this tutorial, you can turn your used coco back into a superior growing media. The first step is to dry out the media. After harvesting your plants, place the pots somewhere they will be able to dry. The coco should start to dry out within days, but it will take weeks to become completely dehydrated. If your climate is too moist, the coco may never dry, in which case you will have to attempt to remove the roots from the wet coco and then move on to step 2. If your coco is still wet, this will take a while, but if your coco is dry, you can just fish out the largest roots and not worry about the rest. In either case, you do not need to completely remove the roots. Even if your tap water is unsuitable for feeding plants, it is perfectly fine for rehydrating coco. When feeding plants, you need to worry about the electrical conductivity (EC). However, there is absolutely no risk in using tap water to rehydrate and rinse coco. When you handle the dry coco, you will notice it is quite dusty. This dust is called “coco peat”, and it is the problem we need to address. Coco coir is an amazing grow medium largely because of its unique water and air retention properties. However, these properties are only present in larger coco fibers, not the coco peat. During the grow, the large fibers break down slowly and create the coco peat. The coco peat does not retain sufficient air and becomes totally water logged. In still water, coco fibers will float, but coco peat will sink because it retains no air. 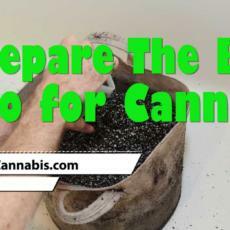 You want to grow your plants in the large coco fibers, so the key task in refreshing your coco is rinsing off the peat. Use a perforated strainer or a screen with an 1/8” mesh. Most chicken wire and garden sieves come with ¼” mesh, which is too large. I use a perforated strainer and scoop the rehydrated coco out of the bucket with it. I then spray the coco down to rinse away the peat. The run off out of the strainer is usually black as it carries a heavy burden of coco peat. A little perlite will rinse away as well, but usually not enough to alter the overall ratio. You can do this rinsing in your bathtub. If you watch the video tutorial above, you will see that is where I do it. The coco peat will wash down the drain just like any other dirt you had to wash off. That said, it is far better to do it outside. Do it over your vegetable garden or even just your yard. Coco peat can be a positive amendment to outdoor growing where water retention is a benefit rather than a liability. Your coco should have been buffered the first time you used it and it will need to be buffered again. The surface of coco fibers have cation exchange sites that are strongly attracted to calcium. As the coco breaks down, it exposes new cation exchange sites that need to be buffered. Buffering is done by providing the cation exchange sites with the calcium that they crave prior to adding your plants. If you fail to buffer your coco, the cation exchange sites will strip the calcium from the nutrient solution that you provide and create a calcium deficiency problem in your plant. To buffer the coco, you need to make buffering solution which is simply tap water with a 150% dose of Cal/Mag supplement. I use General Hydroponics CALiMAGic and the dose converts to 7.5ml/gallon. Simply place your rinsed coco in a fabric pot and place that into a plastic bucket. Add enough buffering solution to completely submerge the coco. Cover the bucket and let the coco sit in the buffering solution for at least 8 hours. After that, you can lift the fabric pot out of the bucket and let the buffering solution drain away. The buffering solution will be largely stripped of its calcium and is now waste water. That’s it! After buffering, your coco is ready to re-use. Be sure to watch the video tutorial!